I am very sorry, I am not going to be able to make it as I can’t get off work. Please let me know when the next one will be so I can schedule out . I’m new to this, and wish I could come to see what it is all about. Please let me know when the next one is, will try and make it. Send me a Friends Request at Michael Javier. Let me help you with marketing tips, branding and some key spots in your back office and corp sites. Or Try our On Line Chat! So excited to attend this TAM… It’s my first meeting as a Benefits consultant/ Recruiter. Hey my name is Peggy I joined AmeriPlan 2weeks I needed good help help me launch my business it’s so much to learned and I needed help ! 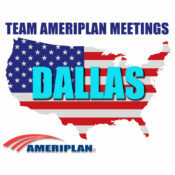 Join the Ameriplan Team fb group.